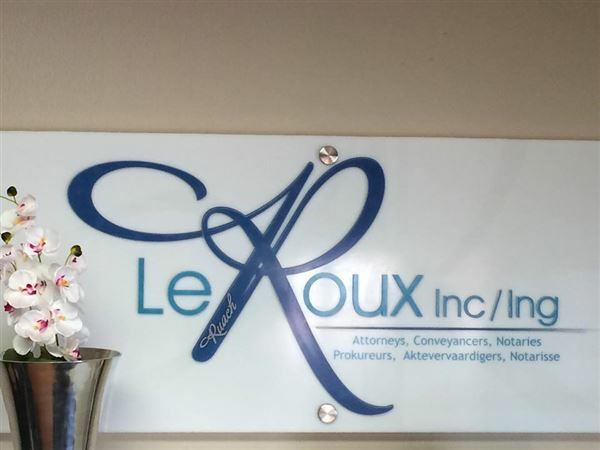 At Le Roux Incorporated we live and breathe law. We have a special passion for Property Law and Conveyancing, but we practice in all other areas of law. Correspondent for the new Limpopo Deeds Office in Polokwane. Accurate prepping prior to lodgment, competitive fee structure. Transfers, Bonds and all other registrations. Antenuptial and other Notarial Documents. We also do general services, consultations for advice, liquor licences, family law, divorces, and much more.